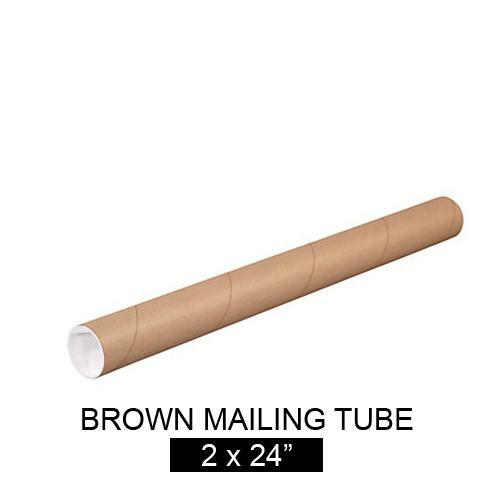 Brown round mailing tubes are made of spiral wound kraft chipboard. These cardboard tubes are great for shipping and storing artwork, posters, hard goods, papers or documents. Plastic end caps are included. Inside Dimension: 2" x 18"